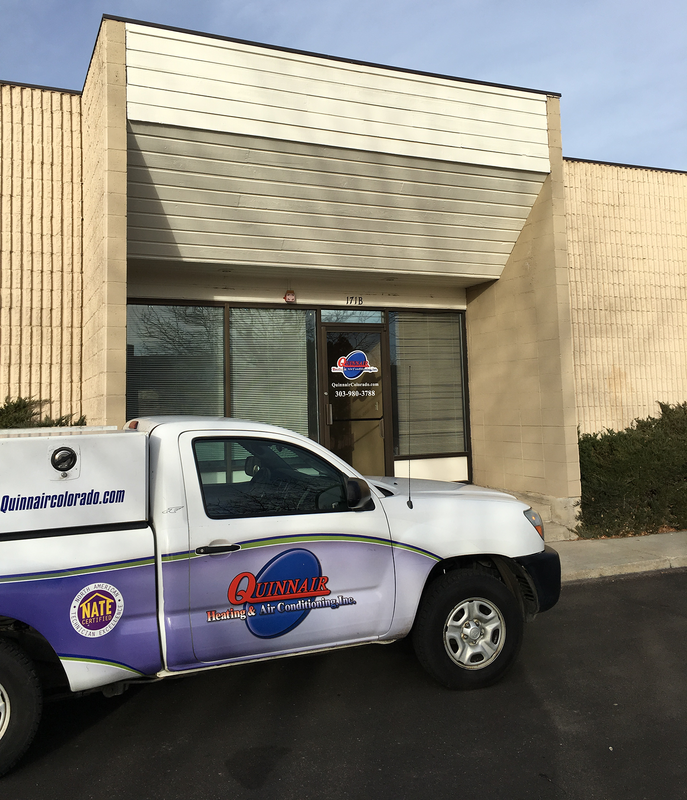 Air Quality Control in Englewood, CO | Quinnair Heating & Air Conditioning Inc.
Quinnair has strategically been in the Englewood, CO area since 2005, offering the best HVAC repair and installation services. We know how important is to keep your family warm, comfortable and safe during cold winter nights. There is nothing more upsetting than finding last minute air quality control issues. No heat coming out of the vents, the thermostat isn’t working well, or any other air quality control malfunction, can spoil your nights and risk your family’s health. In addition, the same situation can be as annoying during the hot summertime. Therefore, it is essential to keep your air quality control system in optimal conditions. Quinnair offers a wide variety of air quality control services to satisfy any type of issue that a household may have. Whether is summer or winter, Quinnair skilled technicians are ready to fix your air quality control system problems. We are the best Englewood, CO HVAC service provider. Contact Us today and enjoy cozy and relaxing nights no matter how cold or hot is outside. There is nothing worse in life than waking up freezing in the middle of the night, just to find out that the reason why your feet are stone cold is because your air condtioner broke down. It is common for Englewood, CO citizens to fail running maintenance inspections on their air quality control systems until it is too late. You could try wearing all your clothes at once, but nothing will keep you as warm and comfortable as a furnace or heater. Therefore, it is vital to run professional air quality control inspections in order to prevent structural problems in your home and your family’s health. One of the main air quality control issues, Englewood, CO homeowners face, is the airflow. When the air conditioner system works properly, your house internal environment should stay fresh, cozy and comfortable. Keeping a steady, leveled and continuous airflow in your home, will also prevent, mild, mold, and moisture from accumulating in your house walls or furniture. If you allow mold and moisture to build up, it will not only damage your furniture and house structure, but it could also cause health problems like respiratory issues. Quinnair’s professional staff will analyze not only your air quality control system, but also your entire house structure in order to determine if there is any issue or source that is not visible to the untrained eye. This way we ensure that your air quality control system works perfectly and your family’s health is guaranteed. Avoid long freezing nights kicking your heater to make it work. Contact Quinnair today, and fix your air quality control at once. Our expert staff is on standby eager to help you or walk you through your air quality control problems. Our expertise gives us the confidence to bring functionality back into place for your air quality control, whether for replacement or straightforward repairs. Quinnair has been in the Englewood, CO area for over 12 years offering the best air quality control services to its surrounding communities. We provide state of the art systems, conventional swamp coolers, and heaters. We specialize in residential and commercial air quality control installation and repair. Quinnair understands that when it comes to air quality control products and services, optimum quality is necessary. Therefore, we only deal with the best distributors in the industry to ensure your satisfaction. Keep the quality of your indoor airflow at its best. Don't hesitate, call us today and get a free quote.